Smelling like Christmas... Peppermint... Chocolate... Cherries... Trees... The list of scents I could name off relating to Christmas is really long. As you see, I said peppermint first. That's really the only scent I need this time of year. Softsoap has me covered for my shower needs! This year's holiday line includes the Limited Edition Iced Kiss and Limited Edition Frosted Wish. Both smell amazing!! I am partial to the peppermint as I mentioned above but my family is loving both! The kids prefer Frosted Wish. It is a sweet cherry fragrance that leaves their skin soft and moisturized. When I smell the soap, I get hints of cherry, sweet, and something relaxing. Now, to my favorite! Iced Kiss smells so good! The peppermint is invigorating! Using it in the shower in the morning wakes me up! It's sweet, pepperminty, almost like you're eating a starlight mint. The cooling effect feels great on my skin. I can't help but feel refreshed when I am finished in the shower. If I could sit around and smell Iced Kiss all day without feeling like a crazy person, I would! I love the scent! It isn't just the scent that draws me back though. Iced Kiss leaves my skin soft and moisturized. It's perfect for my holiday needs! 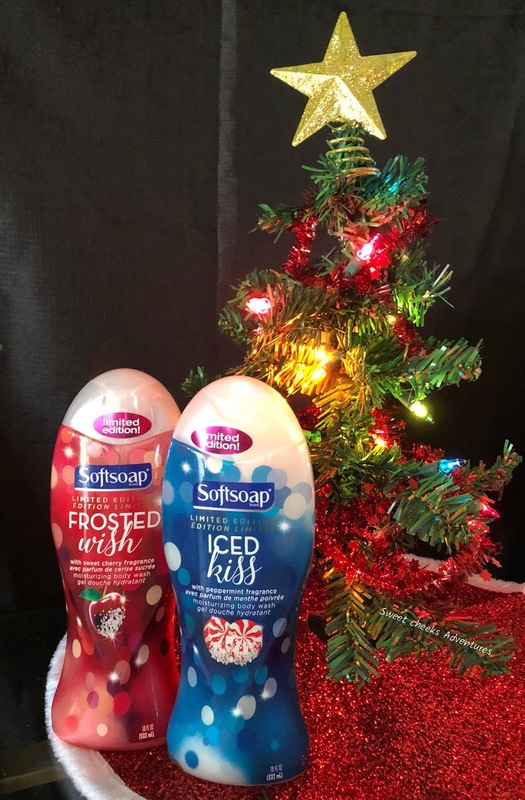 Grab both Limited Edition Softsoaps at your local retailer! They'll make great stocking stuffers, basket fillers or just for yourself.